Hard Jaws share certain characteristics of soft jaws. They are made of case hardened steel - EN353 and hardened upto 50-55HRC. They are usually used for first operation roughing, where gripping is a more important criteria than concentricity. The ground gripping surface of the jaw provides a secure true grip. Teeth type hard jaws - For scroll operated chucks. We also manufacture hard jaws as per customer drawings/requirements -special as well as standard. 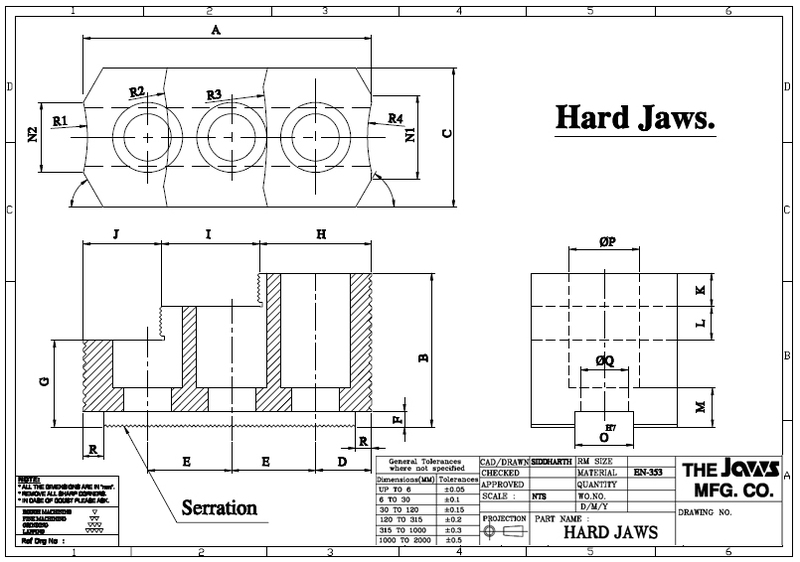 Please download our hard jaw diagram, fill it up with your requirements and mail it to jaws@jawsindia.com. We shall get back to you with the quote.